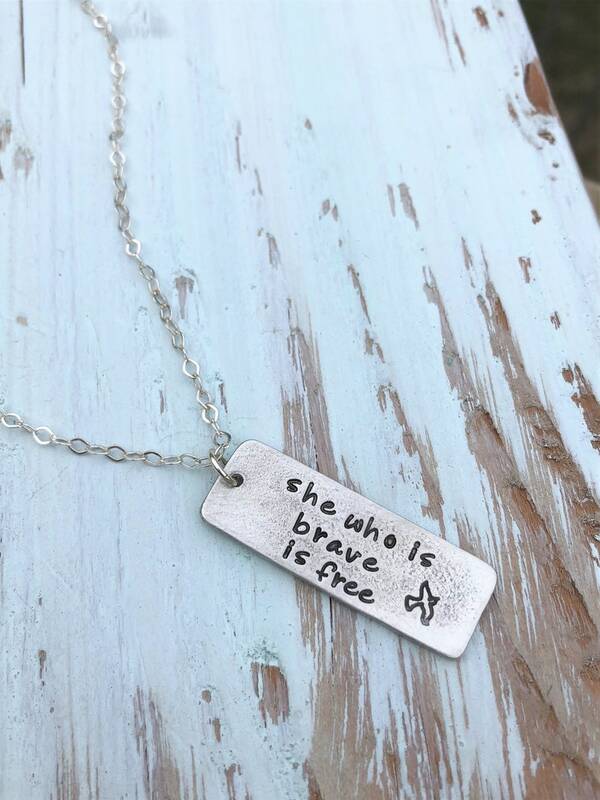 This pewter charm necklace features my take on a quote from Seneca, "She who is brave is free" with a bird in flight stamped at one end. 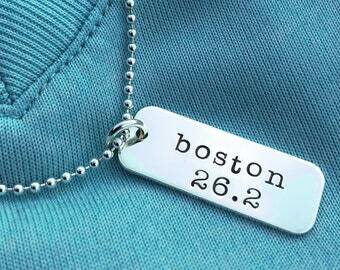 Wear as a reminder to reach for your goals, or to encourage a girl to be brave! 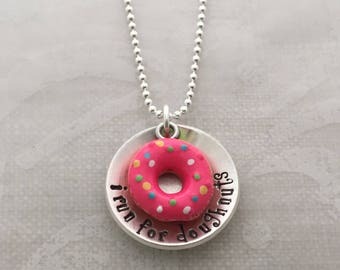 The pewter charm is about 1.25" in length and about 1/2" in width. 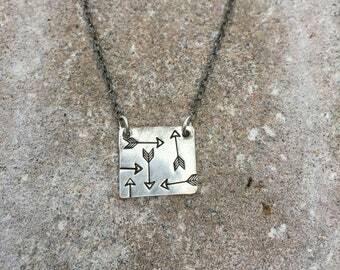 It hangs from a sterling silver cable chain. Choose your preferred length from 16", 18" or 20".